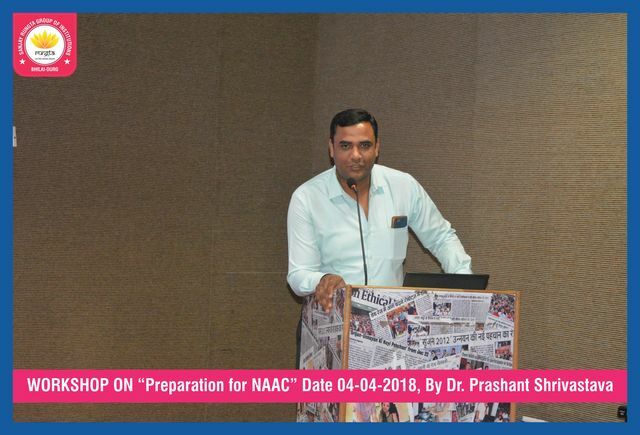 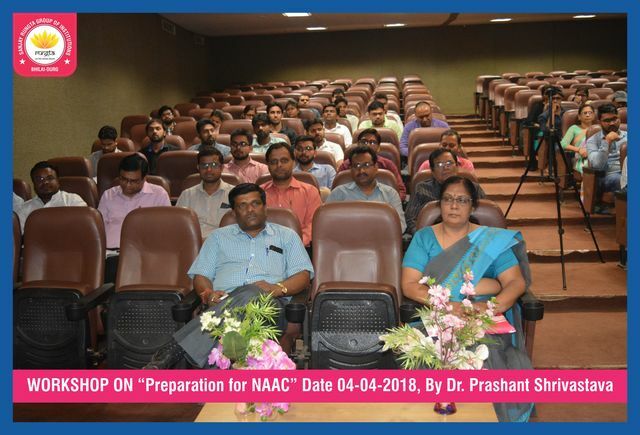 A workshop on ‘Preparation for NAAC’ was conducted at RSR Rungta College of Engineering & Technology on 4th April 2018 . 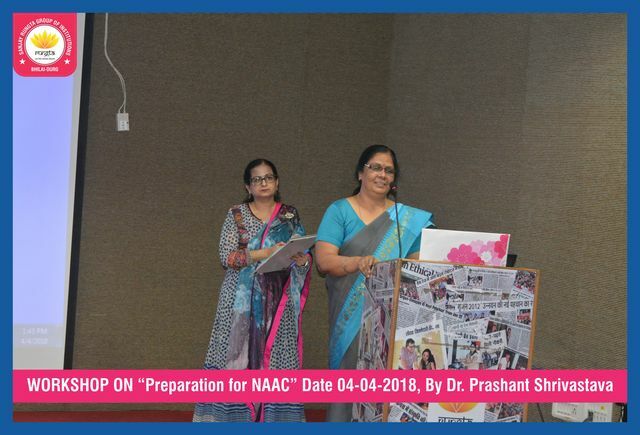 The guest lecturers were Dr. Prashant Shrivastava(UGC Post Doctorate Research Awardee 2010) from Govt.V.Y.T PG Autonomous College, Durg and Dr.Jagjeet Kaur Saluaja. 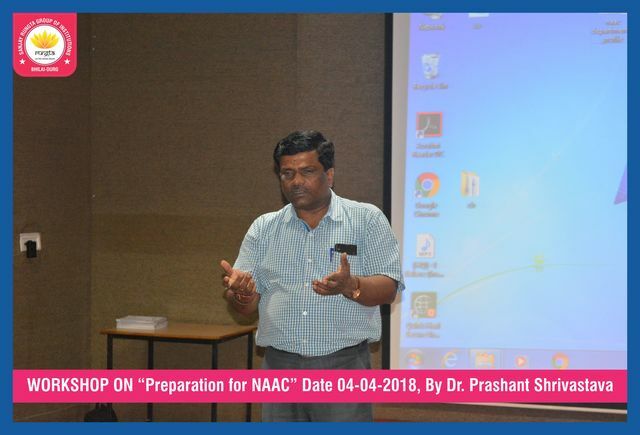 Excellent expert guidance was given by esteemed guests about the NAAC accreditation process. 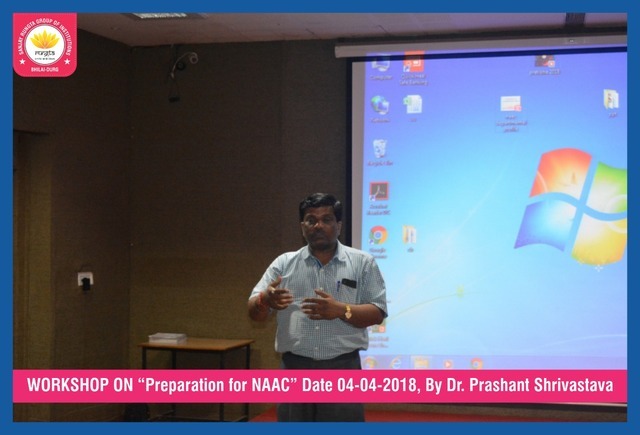 Faculties gained brilliant insights through interaction with aforementioned professors. 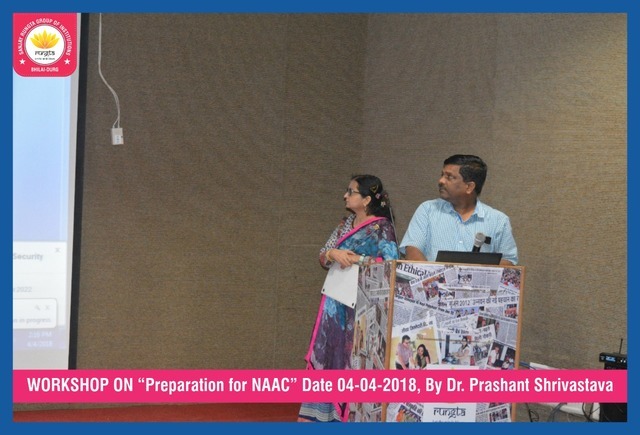 RSR Rungta College of Engineering & Technology conveys heartfelt thanks to Dr. Prashant Shrivastava and Dr.Jagjeet Kaur Saluaja.